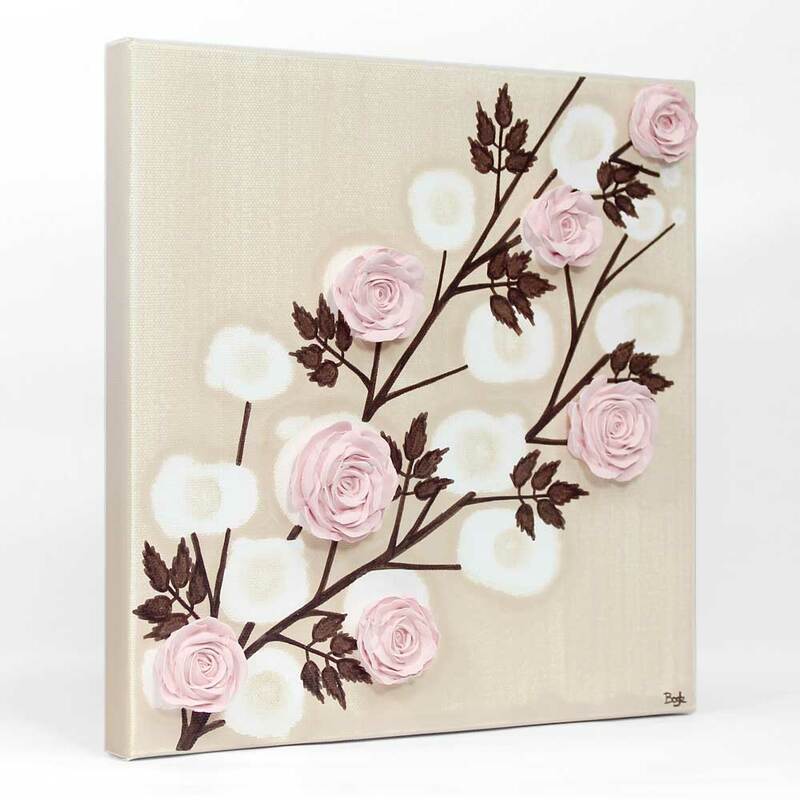 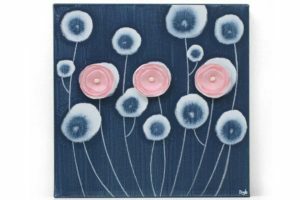 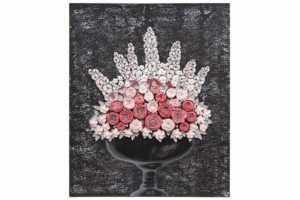 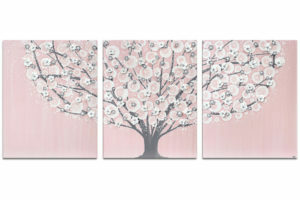 This rose painting makes a great baby shower gift for baby’s first art piece. 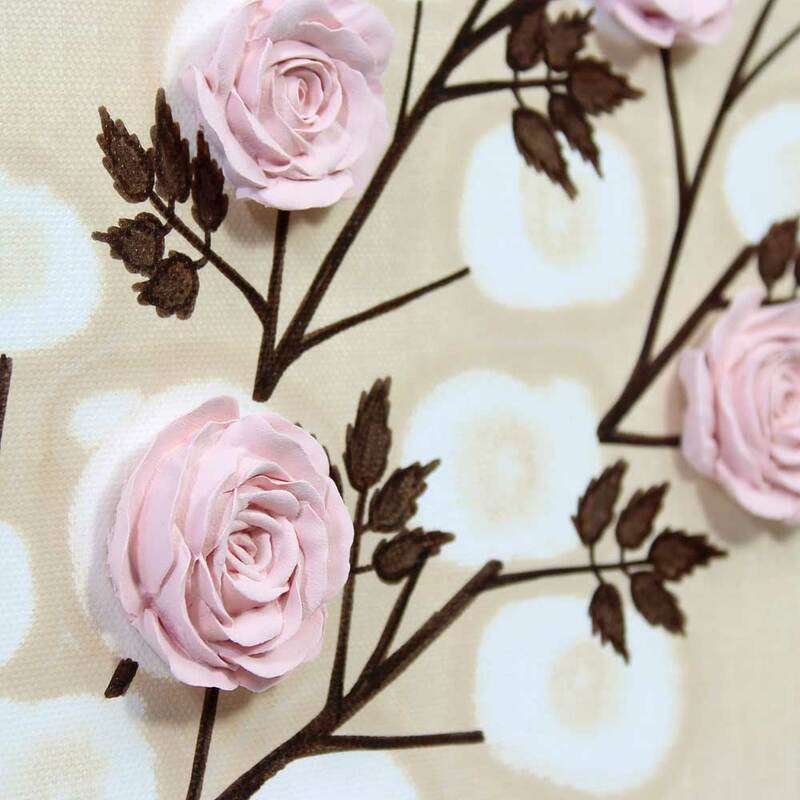 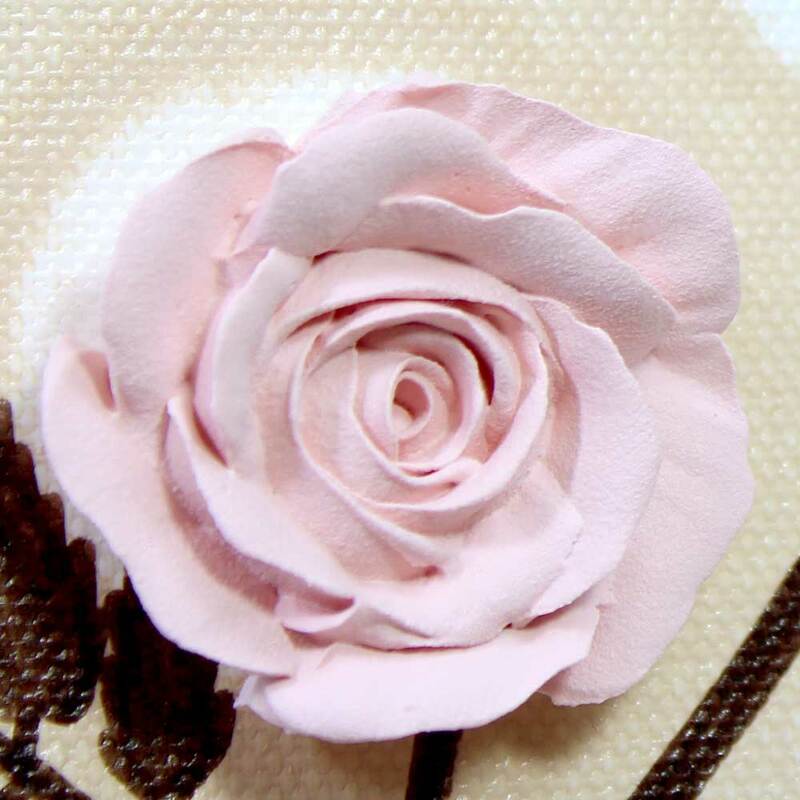 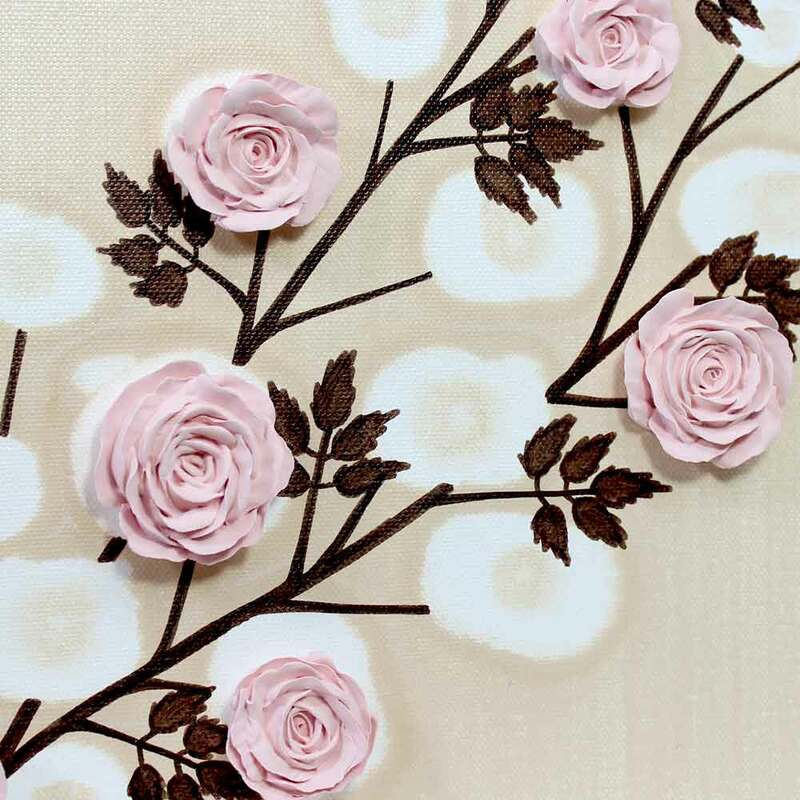 Features hand-sculpted roses in peony pink. 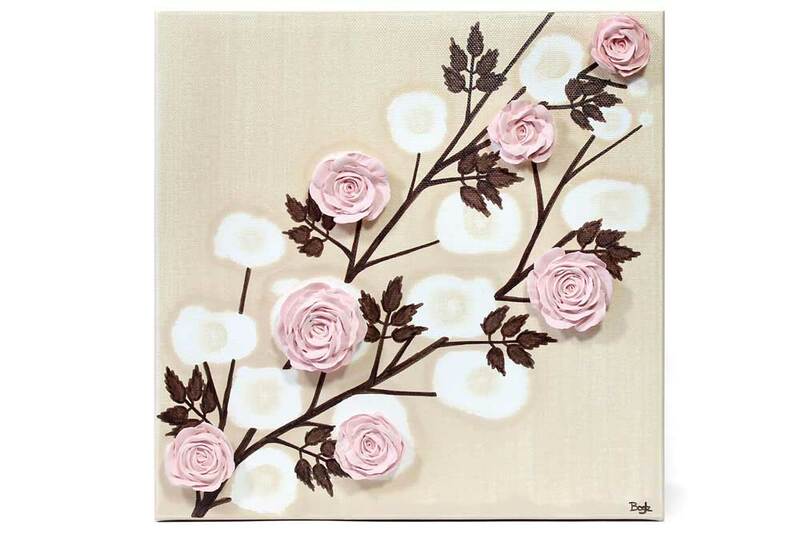 The khaki background is hand-inked with branches and leaves in earth brown India ink. 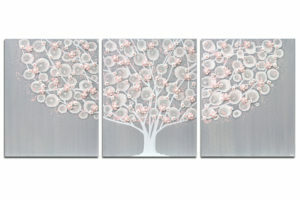 If you already know the baby’s name, you can personalize this gift art with a name inscription at Amborela’s Etsy shop.